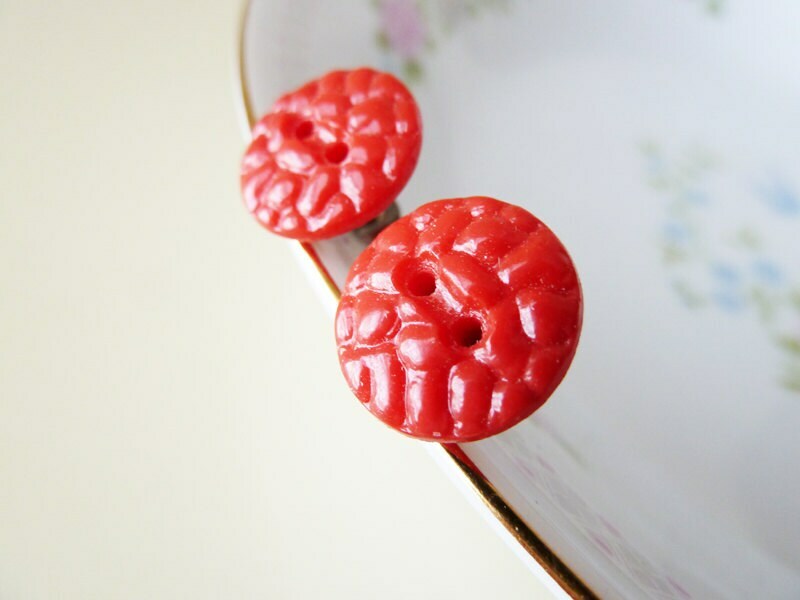 Add a crafty touch to your ear lobes with these pretty bumpy red earrings made from vintage czech glass sewing buttons. 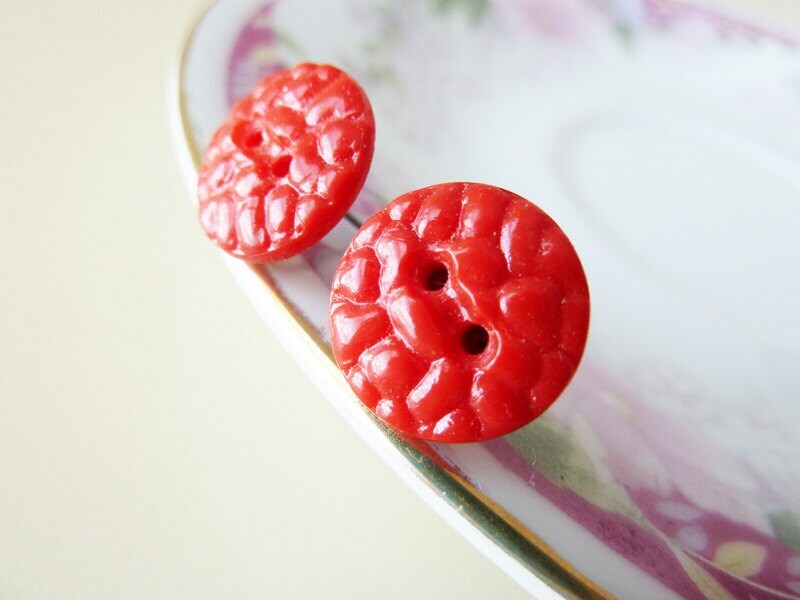 They are in a perfect festive Christmas red. 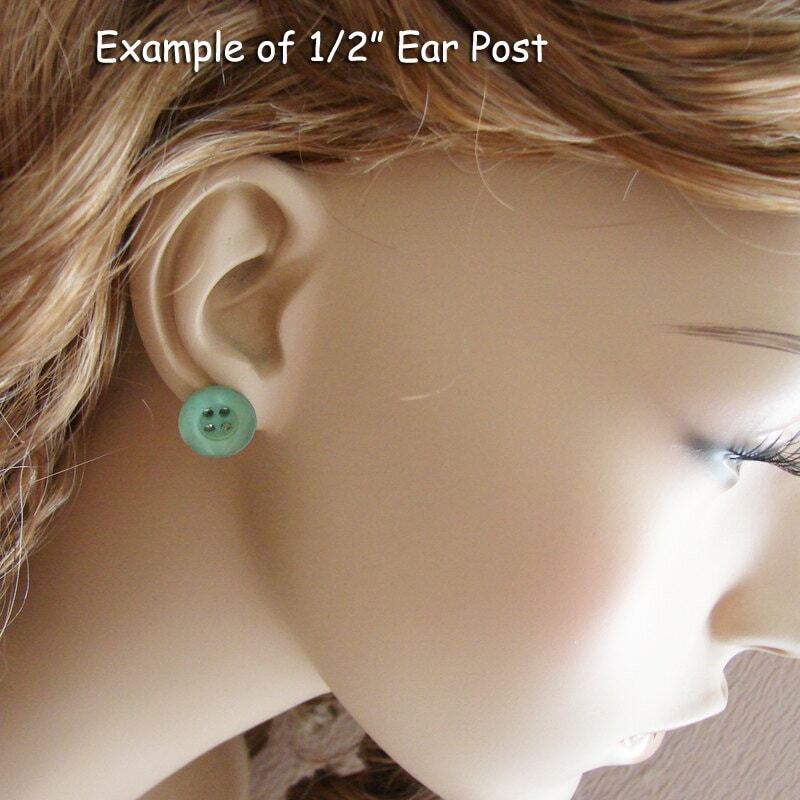 These charming ear posts measure approximately 1/2" (12mm) in diameter. 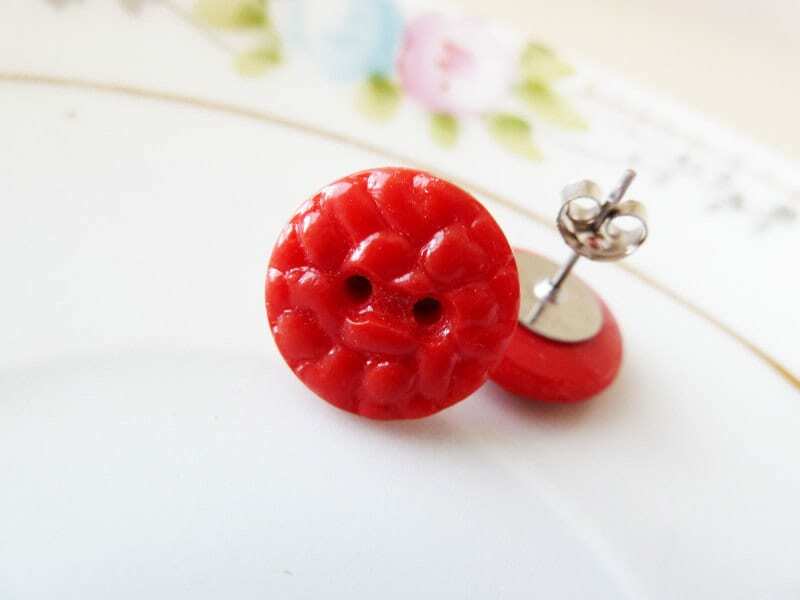 The vintage glass buttons were securely affixed to the hypo-allergenic ear posts with professional grade jewelry epoxy.